With only a few days in NYC we didn’t want to waste any time as we searched for some of the best eats in Chinatown and Little Italy. We went straight to a local and thankfully Alana with Ahoy Food Tours showed us around. In full honesty you never know what you are walking into on a guided tour, we were nervous that we would be stuck with a big group walking the streets of Chinatown with our leader carrying a flag or speaking into a microphone. 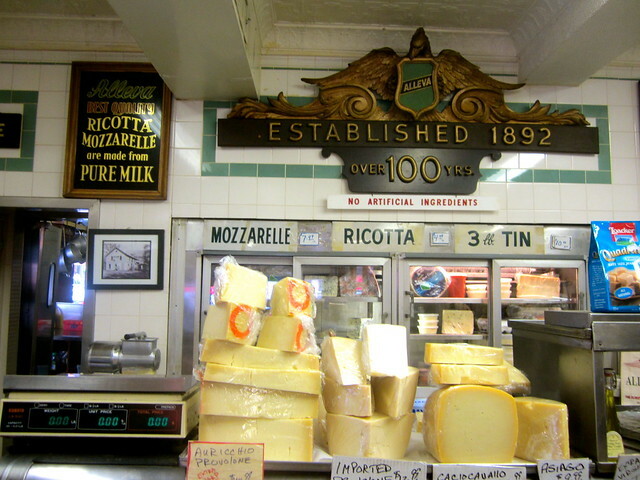 Luckily, Ahoy New York Food Tours was nothing like that (thank goodness)! It was great because the group was small and Alana did a great job of pulling us aside explaining the history of the area and telling entertaining stories along the way. 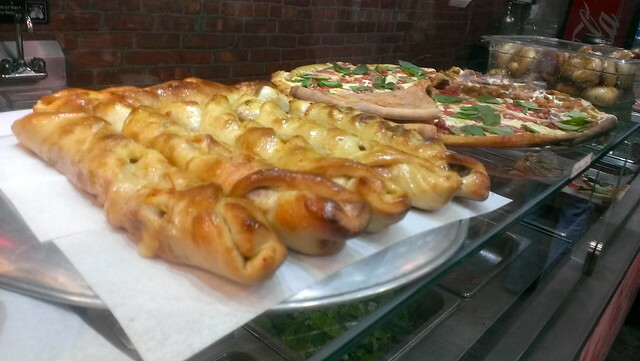 OK, so let’s get to the good part -> what did we eat in Chinatown and Little Italy?! My first recommendation would be to not just read this list and go to these two neighborhoods to taste these particular foods, I don’t want you to be let down. What made our experience so memorable are the stories and history that brought the food and neighborhood alive. Each restaurant was carefully picked and for good reason. Every street we walked down and restaurant owner had a story. 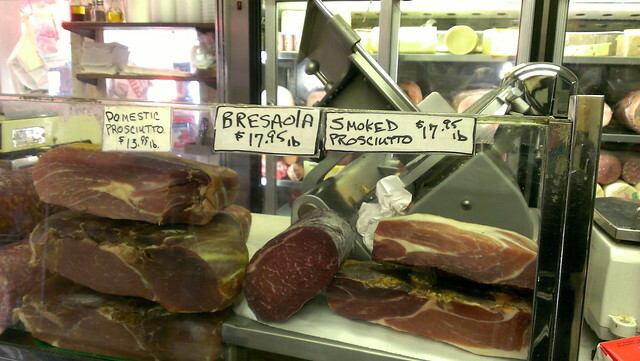 Fresh mozzarella wrapped in salty and thinly sliced proscuitto – is your mouth watering yet? I know! It was as good as it sounds. Hearing how the cheese is made and the history of the family behind the business is part of what made this first stop stand out. 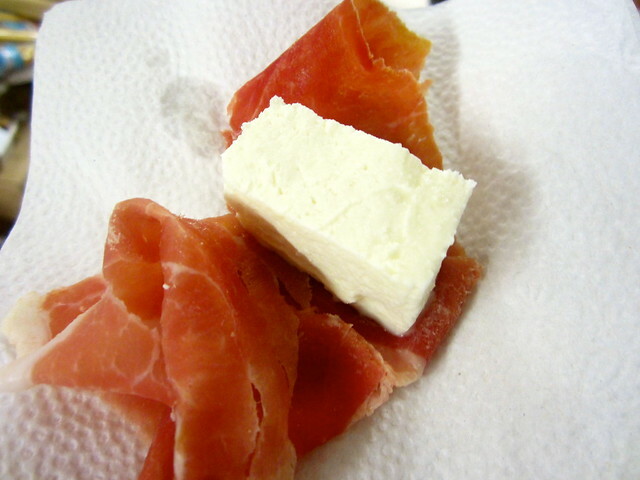 We walked down the street to another small shop to try some pecorino (sheep’s milk) and piave (cow’s milk) cheese. 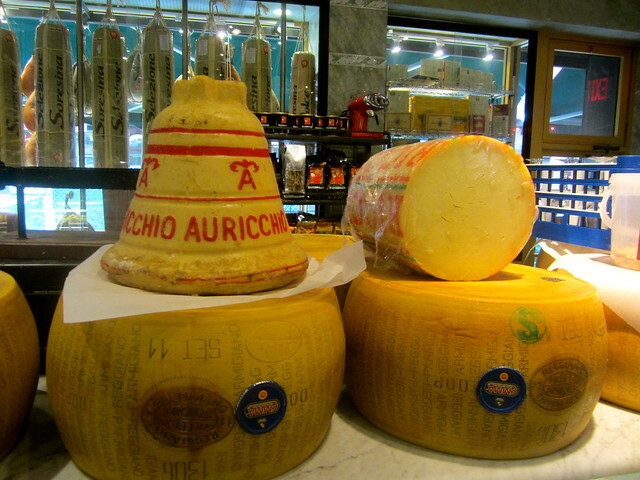 What I loved most was seeing this particular cheese shop. There was non-stop hustle and bustle in the store. 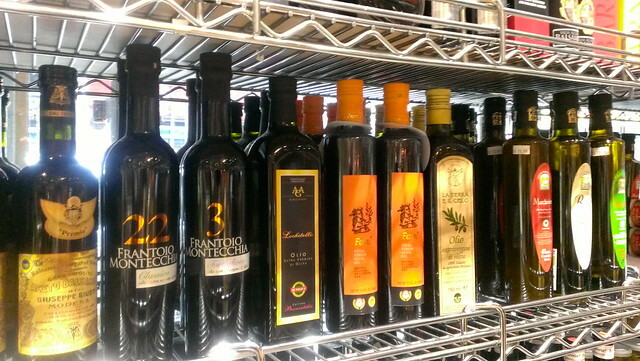 Meat hung around us and unique olive oils lined the store. 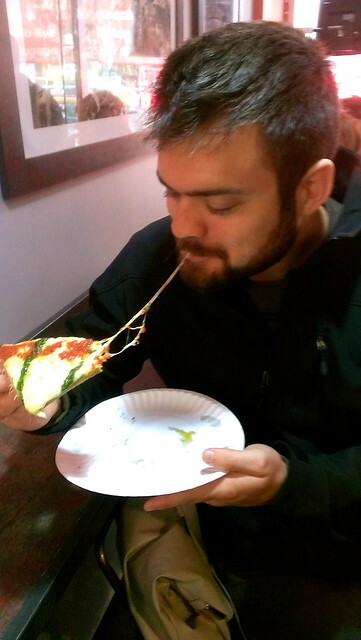 Josh loved this pizza, but you can definitely find much better pizza in New York City. What was different about this pizza place was that the majority of the places we visited have been around for 100’s of years, this particular pizza has been around since 2012… so new to Little Italy this year. It was interesting to see and taste the new places that were popping up, and there was no doubt that this small pizza joint was packed when we were there. Weird fact about me: I don’t like any creamy, white foods…for example sour cream, mayonnaise, cream cheese, anything cream filled, stuffed etc. There are definitely some exceptions in there like vanilla ice cream and greek yogurt that I love, but generally I stick to this rule. 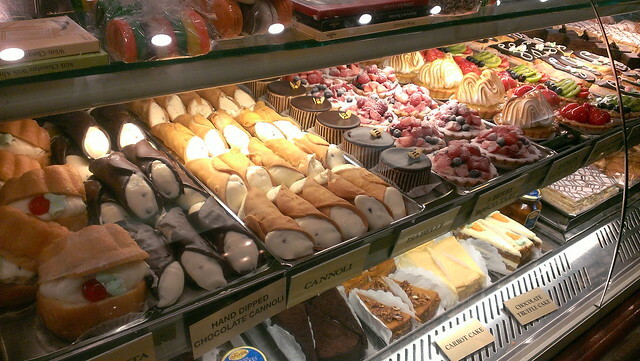 Because of this, I have always avoided cannolis, mostly because I didn’t know what the middle was filled with and assumed I would hate it. This is a great example of why you should always try something before crossing it off your eating list. 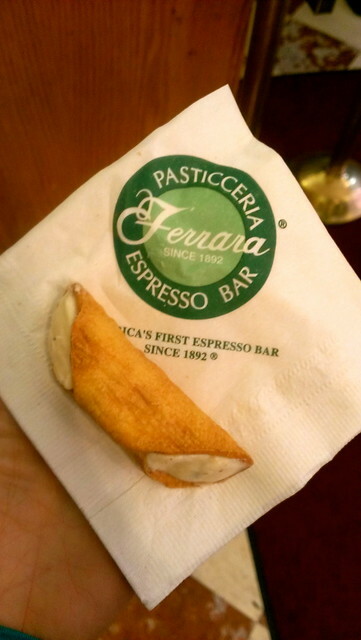 I tried my first cannoli! DELICIOUS! I loved it, and it’s probably good I have put off trying this treat, because I would be much heavier than I am now. This is where my heart starts beating faster. I love seeing all of the fruits and foods that I deeply miss from Asia. It feels familiar and happy to be walking down the street in Chinatown, and you can believe my excitement when we hear our first destination is a Thai restaurant. 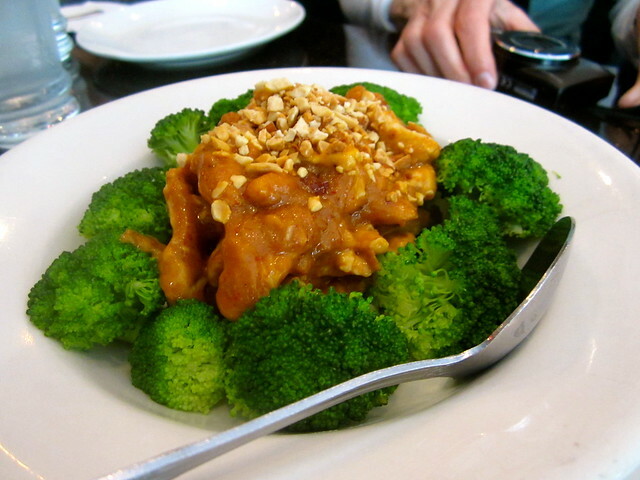 They served us Pad See-Ew and chicken Pra Ram, which was a stir fry with a curry peanut sauce. Both were good, our personal tastebuds like it 10 times as spicy, but I understand when you are making it for a group you have to be careful. The food was fresh and we would have definitely returned and ordered it Thai Spicy next time! We walked through the Chinatown park to a popular dumpling spot which is supposedly one of the best. 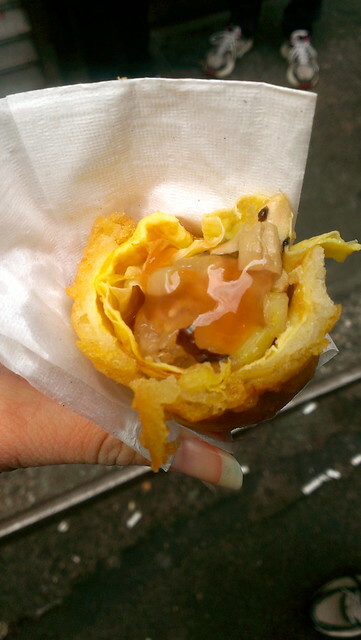 We tasted their basic pork and chive dumpling which was a big hit with everyone in the group. I might go as far as to say this was everyone’s favorite food of the entire tasting. It was topped with a white vinegar sauce that perfectly complemented it. Our last stop was for “The Original Egg Roll”. The restaurant has only been owned by 3 people in its near-100 year history and the corner that the restaurant sits on has an immense amount of history (but I’ll leave that for you to discover). While they are known for dim sum, we tasted their egg roll. This isn’t an egg roll filled with veggies and pork like you may be used to, but his father’s original egg roll recipe that has just what it sounds like inside, egg! 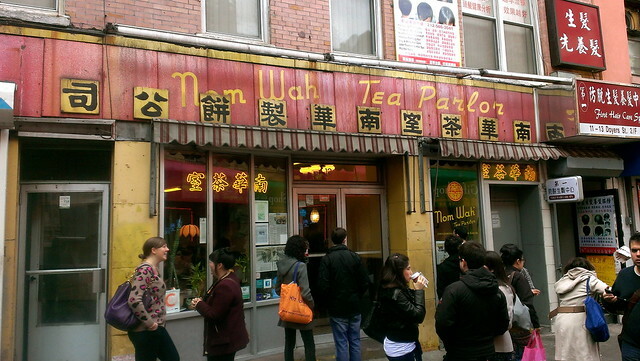 If you are going to Nom Wah Tea Parlor, which I highly suggest you do, expect a line…and expect delicious food! In addition to the long list of food we ate, Alana pointed out her favorite recommendations for bubble tea, pho and many more spots along the way in Chinatown. We had such a great time we returned the next day to eat at some of her recommendations and do our own tasting around Chinatown! 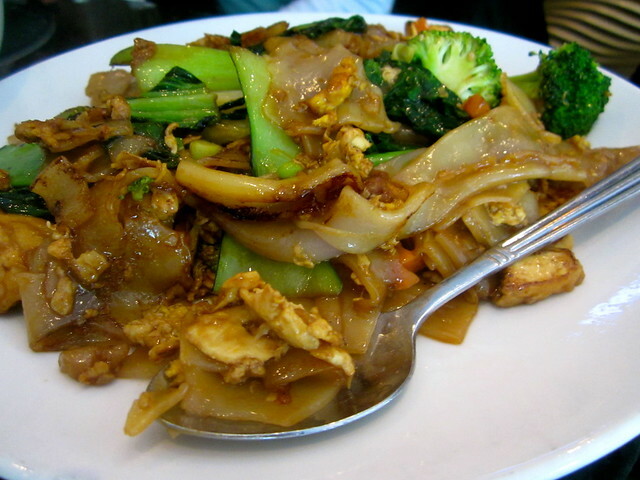 Hopefully this post has left you hungry, because reliving it for me is sending me directly to our local Thai place! 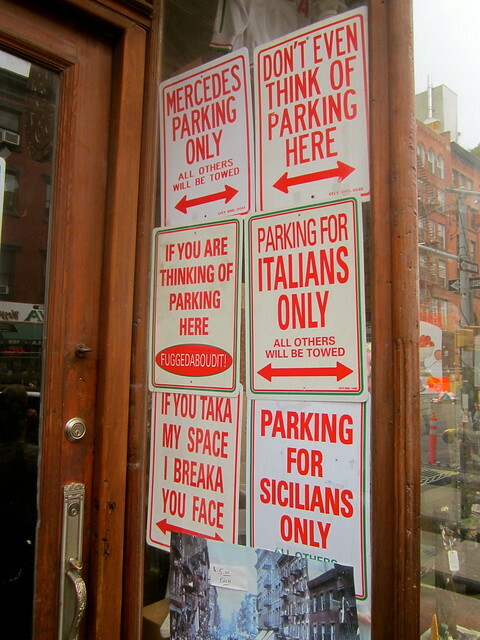 While Little Italy isn’t known for their great food, it is all about the atmosphere and stories behind each restaurant. Chinatown on the other hand is the largest enclave of Chinese outside of China, and their neighborhood reflects it with unbelievably delicious food everywhere you turn! Special thanks to Alana for inviting us to join Ahoy Food Tours for the day. Yum! All of those look amazing, especially the pork and chive dumplings! After living in China, I have yet to eat dumplings that taste anything like what I used to get there. The pork and chive dumplings we could have gone back for multiple times – they were delicious! Great post. Nom Wah is worth the walk and the wait – best dim sum I’ve had in NYC! Wow! awesome dude they are so mouth watering dude………… what did you like the most among them. We just did this Ahoy NY food tour. It was awesome. Totally agree with that guided tours can sometimes be lacking, but this was fab! We definitely felt the same way! 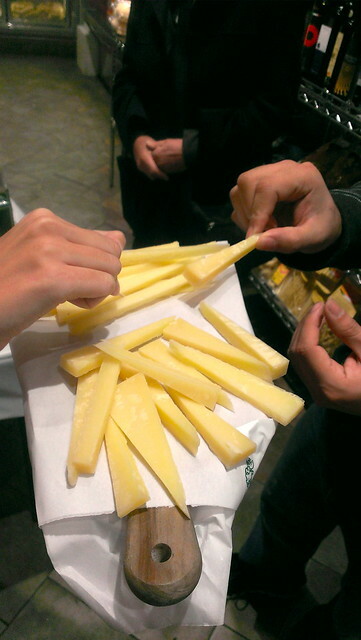 What was your favorite food on the tour? !